Are you reaching everyone you could be on social media? If you think social media is just for millennials, you’re missing out on a large market — and lots of potential deals. The facts show that audiences of all generations are active on social. According to Pew Research, 78% of adults aged 30-49 are now on social media. There are 2.07 billion monthly users on Facebook worldwide. And YouTube reaches more U.S. adults aged 18–34 than any cable network. 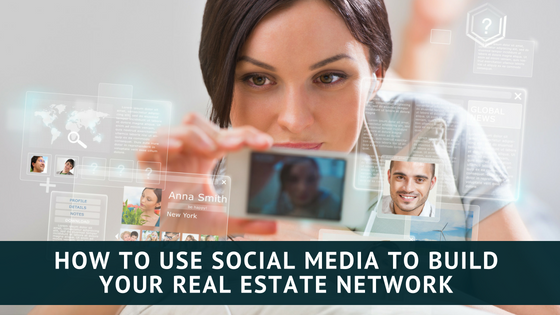 Social media is actually one of the best ways to build your real estate investor network. Whether or not you are a fan of social media, it is revolutionizing the real estate industry in terms of both marketing and networking. Your network is arguably the most important asset you possess. Social media isn’t just for staying connected with friends and family, it should also be used in every real estate investment strategy you implement. So why exactly is social media for real estate investors beneficial? Its builds your reputation. When you are able to position yourself as a real estate expert, it will be a lot easier to attract new clients. Social media can become the basic foundation of building your brand in real estate. When your presence is well-known and engaging on social media, your name and reputation will be familiar, thus attracting new tenants, partners, vendors and increases your chances of success. Connect With Like-Minded People. Reaching out to your current and past connections through your social media page is an excellent way to ask for referrals for your investments. For example, at the end of your posts or blogs, you may want to prompt your readers to share your article or link with someone that they know who is looking for a new house, real estate investment, or need coaching from an expert like yourself. Using social media to network with your current and past clients is highly effective. Advertise your property and show it off! Sites like Facebook, Twitter, and Instagram are all perfect for posting before and after images to get potential buyers excited. Make sure that all of your accounts are set to public mode in case people outside of your network see your posts and want to connect. You can use social media to build your real estate network by asking questions. For example, you can post a question – pictures included – on all your social media sites in order to get results from a variety of professionals and real estate experts. Today’s world is dominated by social media and the majority of the people are dependent on it. To expand your footprint, become a well-known real estate investor and position yourself in the middle of all the action, putting your expertise out there and showing the world what you have to offer. Go and explore cyberspace and all the opportunities that comes with it!